Deep green faceted oval tourmalines set in a 22ct gold disc. Below the stone hangs a hollow 22ct gold bead. 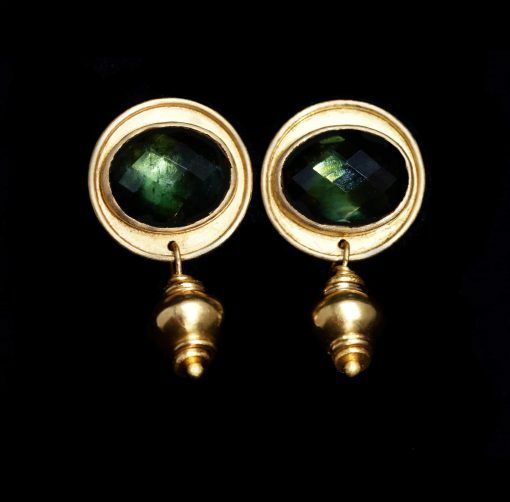 These earrings are rich and elegant and will dress up any outfit for an evening out. Overall drop 3cms.